The new and XL-lounge from Etihad Airlines has been open for about a year now. It is located in Terminal 3 which is dedicated to Etihad flights. The lounge has a very modern design, with a large cocktail/wine bar, a small coffee bar and 3 buffets with hot and cold food items. There is a nice dessert and fruit section as well. Coffee/tea making facilities are to be found in about 5 different locations so you never have to walk far to get a drink. The lounge is kept very tidy and clean at all times and staff are is ready to help at any time. Seating area is divided into a dining section, a sofa/rest area, and a Business Centre. A Six Senses Spa is available for guests who have longer transit stops. 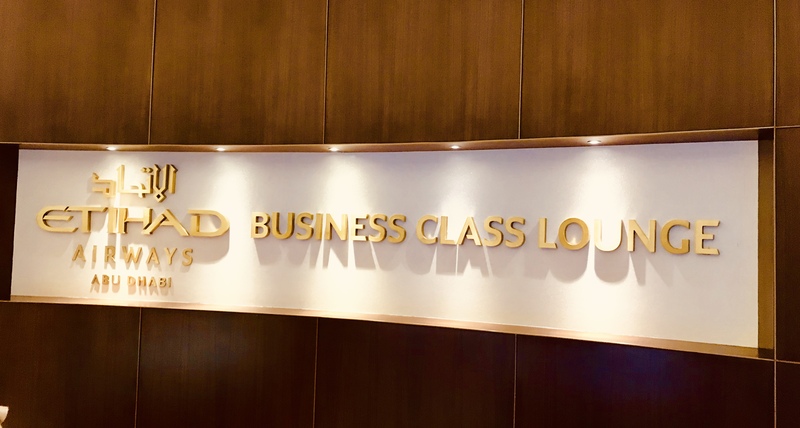 I found the new Etihad lounge very pleasant and if you are lucky to catch a not-so-busy time this is certainly a good place to relax and unwind for a while.